Surfers Against Sewage Regional Representative for Snowdonia Laura Sanderson is highlighting the issue of plastic pollution in rivers by swimming the Afon Glaslyn in Snowdonia from source to sea at Beddgelert Village, Wales, Saturday. This is alongside one of our 2019 Community Partners Outdoor Swimming Society. 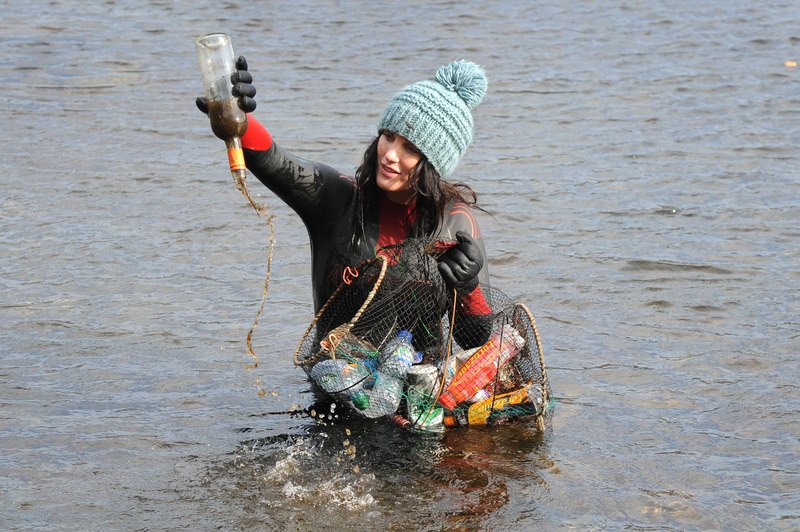 Laura is joining community organised river cleans along the swim route and collecting water samples throughout the swim to be tested for micro plastic at a laboratory at Bangor University during the swim between 6-16th April. 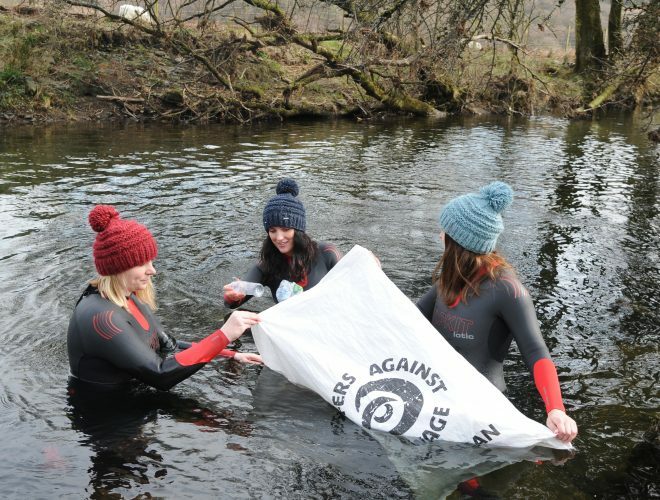 Surfers Against Sewage is calling for a giant wave of volunteers from across the UK with aims of over 30,000 volunteers taking to our 615 community organised beaches, mountains, streets and waterways to keep them clear of plastic. 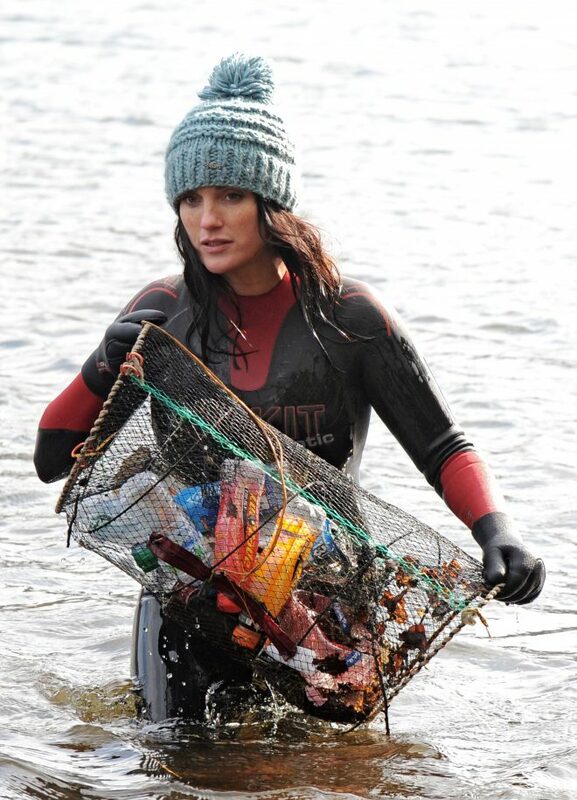 Surfers Against Sewage Regional Representative for Snowdonia Laura Sanderson will be collecting plastic and other debris and waste to highlight the issue of plastic pollution in rivers by swimming the Afon Glaslyn in Snowdonia from source to sea. The aim of the swim is to track levels of plastic pollution from source to sea by collecting water samples throughout the swim to be tested at a laboratory at Bangor University. The journey is part of Surfers Against Sewage’s Big Spring Beach Clean: Summit to Sea, which this year includes 615 cleans nationwide on mountain, rivers and beaches. It involves swimming the 26km stretch of river from the highest point Llyn Glaslyn on Snowdon, down to the sea. Laura started the swim at 5.30 am on Saturday 6th April from the snowy top of Snowdon and joined a community clean in the village of Beddgelert on the first day. On Sunday 7th April Laura joined Plastic Free Porthmadog on a clean up. Dr Christian Dunn is Associate Director of the Bangor Wetlands Group at Bangor University and the Surfers Against Sewage representative for Chester and said: “This research will give us a greater understanding of levels of microplastics through a water catchment system. It is very worrying to discover microplastics are present in even the most remote river sites and quite depressing they are in some of our country’s most iconic locations”. The swim, taking place between 6th-16th April, will include local community cleans along the journey. Lakes and rivers become contaminated when plastic rubbish blows into them and, over time, is broken down into smaller microparticles. Along the route Laura will be collecting plastic and debris that has entered the waterways as well as carrying out a river community clean up as swimmers pass through the villages of Beddgelert and Porthmadog. 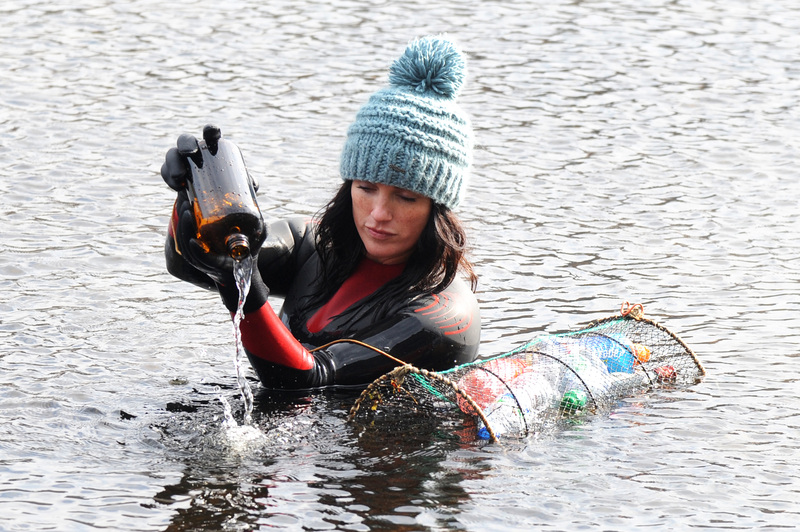 The aim of the swim is to track levels of plastic pollution from source to sea collecting water samples throughout the swim to be tested at the laboratory at Bangor University. Surfers Against Sewage is calling for a giant wave of volunteers from across the UK with aims of over 30,000 volunteers taking to our beaches, mountains, streets and waterways to keep them clear of plastic. The Big Spring Beach Clean has been made possible with the kind support from the Iceland Foods Charitable Foundation (IFCF) and the players of the People’s Postcode Lottery. « Surfers Against Sewage Calls For Giant Wave of Volunteers To Join Its Biggest Ever UK Spring Clean, From Summit To Sea!